Recent Arrival! Look at this Beast! 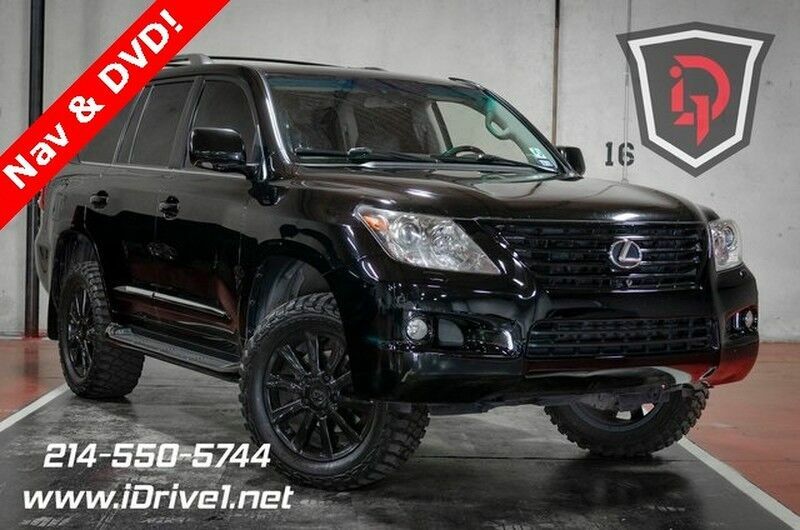 With Navigation, DVD Rear Seat Entertainment System, Bluetooth, Off Road Tires, Leather, Heated & Cooled Front Seats w/Heated Second Row, Fully automatic headlights, Heated Steering Wheel, Navigation System, Power moonroof. This is Lexus at its finest! 5.7L V8 DOHC Dual VVT-i 32V 4WD 6-Speed Automatic with Sequential Shift ECT We have financing options for everyone! Call for vehicle details and availability. Showroom: 214.550.5744. IDrive1. You should 2!